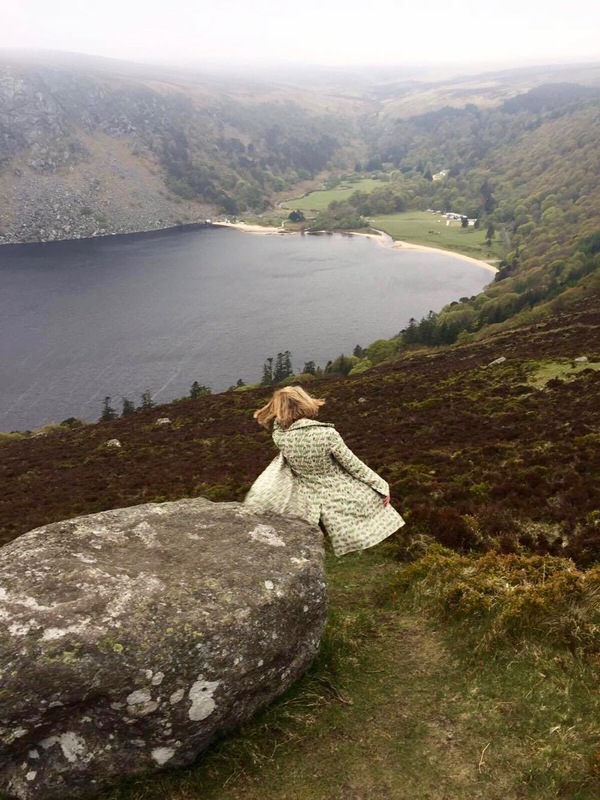 Imagine you’re on your way to a 21st birthday party; except it’s 1966, the venue is deep in the Wicklow Mountains at the beautiful Luggala estate in Roundwood, the host is Guinness heir, Tara Browne, face of the Swinging Sixties and subject of The Beatles Song 'A Day in the Life.' Guests include Mick Jagger, Brian Jones, Marianne Faithfull, Anita Pallenburg, and Irish playwright Brian Behan, and the entertainment is American rock band The Lovin’ Spoonful. Could you contain yourself. I couldn’t. Brian Jones, Anita Pallenberg and Tara’s wife Nicki dropped a pane of acid each before the flight. A chauffeur collected them, drove through Dublin City and up into the Wicklow Mountains. Brian Jones announced he needed to pee and they all fell out of the car, still tripping. 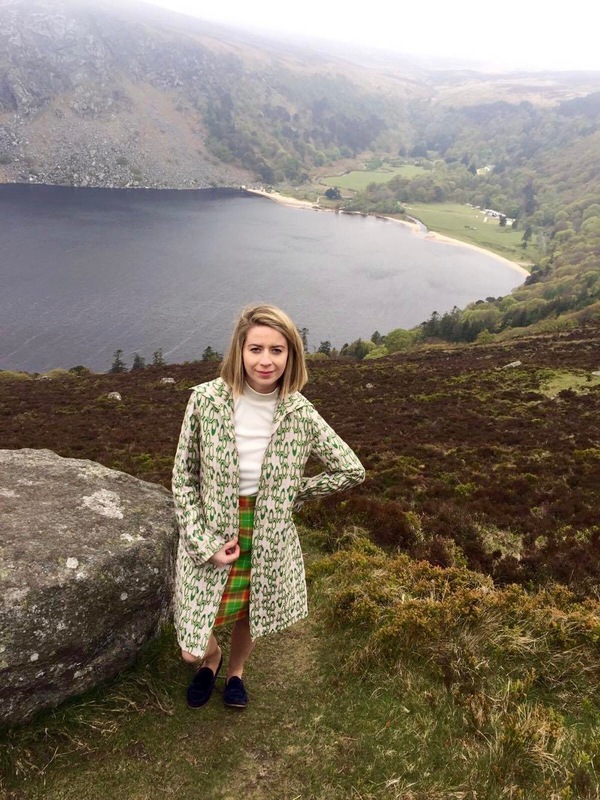 They stood in disbelief, looking down at the dark murky waters of Lough Tay, the imported sand, soft and foam-like, trees cascading down the hill as though in a terrible hurry. Brian found the skeletal remains of a dead goat and became hysterical. British photographer Michael Cooper happened to be in the car with them and captured this intoxicating moment in time on the edge of the world. Tara and Brian sat side by side on the dance floor watching The Lovin’ Spoonful play their set, while women in tiny mini-skirts, patent loafers and geometrically-cut hair mingled with men in velvet tailored suits. Joe Butler (of the Lovin’ Spoonful) remembers challenging Mick Jagger to a boat race across Lough Tay in the dark, but he was in the middle of a fight with his then girlfriend Chrissie Shrimpton. According to Nicki Browne “Anita and I got it into our heads that Mick Jagger was the devil… and we locked him into the courtyard and then we ran into the woods at the back of the house. We had these walkie-talkies, which I think had been a birthday present from someone to Tara. We were in the woods and we were talking on these things... paranoid, of course, watching Mick trying to get out of the courtyard. For Tara, it would be one of the last defining nights of his short life (he was killed in a car crash later that year), and for his guests, the last defining moment of the Swinging Sixties. Find out more in Paul Howard (creator of Ross O'Carroll-Kelly)'s recent novel detailing Tara Browne's short but gilded life I Read The News Today, Oh Boy.